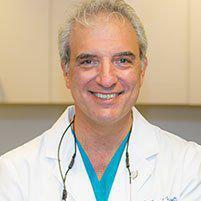 As a leading dentist and periodontist in Manhattan and Brooklyn, NY, Dr. Franzetti has substantial experience in state-of-the-art procedures for the placment and resotration of dental implants, enabling patients from throughout New York City to replace missing teeth so they enjoy improved function and feel more confident in their appearance. Dental implants are special devices that are designed to replace one or more missing teeth. Unlike bridges and dentures that rest on top of your gums, dental implants use metal posts to serve as tooth roots. These posts are made of titanium, a material used in all sorts of prostheses, including joint replacements. When implanted into the jaw bone, the post fuses with the natural bone in your jaw to form a sturdy attachment for an artificial tooth or crown. Dental implants can be used to replace a single tooth, several teeth or all your teeth for a smile that looks beautiful and feels as natural as your own teeth. What happens during the dental implant placement procedure? Dental implants typically require three visits. During the first visit, the post is implanted in your jaw. In some cases, a bone graft may be required to build up bone lost to disease or atrophy. Once the post is in place, it's left to fuse with the bone for several weeks. At the second appointment, a metal abutment is attached to the post. This abutment will serve as the attachment for the crown. An impression will also be made and sent to the lab where your crown will be made. At the third visit, the crown will be attached to the abutment and gently shaped for a perfect fit. Is an implant better than a bridge or partial denture? Implants are designed to feel and work just like your natural teeth, so they can feel much more comfortable than a bridge or denture, and because they look just like natural teeth, they can also help you feel more confident. Plus, they can be cared for like your natural teeth, so they can be more convenient as well.